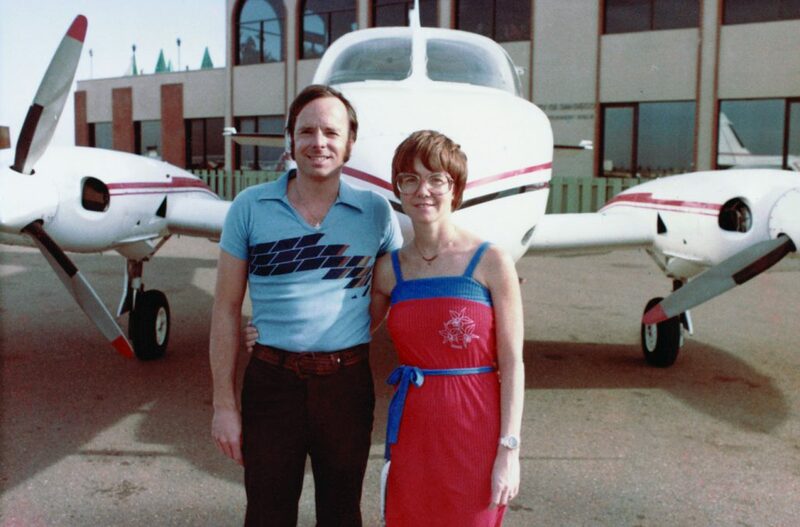 John & Martha’s first airplane was a Cherokee 140. There was a lot of blood in the water as we flew over the bowhead whale being harvested for the sustenance of the native Iñupiat community of Barrow, Alaska. It was a thought-provoking and broadening experience of the type we found we were having regularly after we began flying our own airplane for transportation. Personal flying means different things to different people. But for nearly everyone, flying represents a profound expression of freedom. It gives us the ability to leave the earth, take command of the third dimension, and explore our world from above for experiences like we had in Barrow. John & Martha’s Cessna 340 expanded the range, speed and scope of their experiences. For Martha and me, using our airplanes as our vehicles for personal transportation has allowed us to extend that freedom even further. With our own airplane we have the ability to travel to the places, and at the times, of our own choosing. 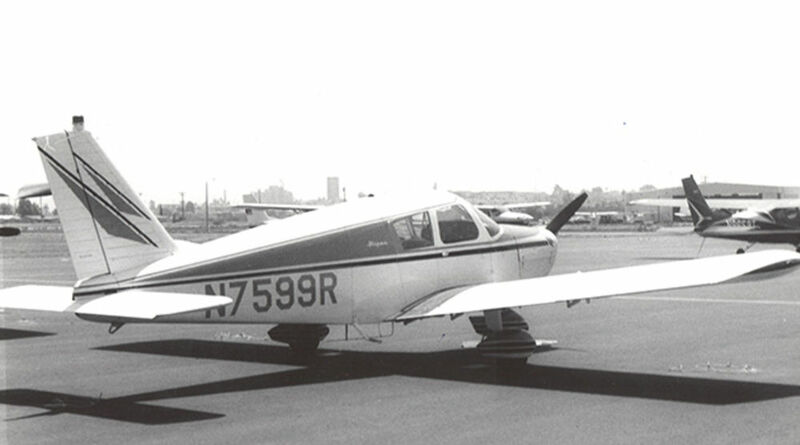 Within days after earning our private pilot certificates in our first airplane, a Cherokee 140, we headed from our Indiana home down to Florida and the Bahamas. On our way back north, the first appearance of snow on the ground in Tennessee prompted us to exercise our new-found freedom by immediately turning left to go explore the California coast. The aerial tour resulted in our discovering a little Southern California seaside town that resonated with us. We have lived in La Jolla, California ever since. It wasn’t long before we hungered for more speed and more range, and we gained wider horizons with the purchase of our Piper Comanche. In our first year of flying the Comanche we experienced the breath-taking vista north of Acapulco as we crested the mountain range and viewed the sparkling bay and the dramatically beautiful expanse of the sea. Within that same year we also made the mind-opening trip to Barrow, Alaska. Through the years, except for some international trips, we have always flown our own airplane for transportation, and, whenever money allowed, stepped up to faster and longer-legged aerial steeds. So when we had to put our current airplane, an old Falcon 10, into scheduled maintenance for 6 weeks for what is known as a C-check, for the very first time in many years we found ourselves using the airlines for our personal transportation. We were totally unprepared for the experience. First was the issue of time. We discovered that managing our time before and after we got to the airplane would require completely different considerations. We were used to driving up to our airplane, loading luggage, and being airborne and on our way in less than a half an hour. We had to make some real adjustments. Ready to board at San Diego’s Montgomery Field – MYF. We felt compelled to leave more time for the ground transportation to the airport. When we are flying our own airplane, if we get caught in traffic and arrive late the airplane never leaves without us. We were pretty sure that wouldn’t be the case on the airlines. Then, we realized we had to leave lots of extra time once we got to the airport to check in, drop off our luggage, go through TSA, and be ready at the gate at the recommended 30 minutes before takeoff. As we added all this up, we decided we needed to arrive at the airport at least two hours before the scheduled departure time. Plus, after arrival at our destination, we needed to allow more time to retrieve our luggage and get to ground transportation. The most surprising part of the experience was how stressful all of this was to us. The worries about getting caught in traffic jams on the way to the airport and getting through the terminal in time added stress that we don’t have when we are flying our own airplane. Plus, when we got to the terminal, we didn’t know how to navigate our way around. We discovered we would frequently have to take an automated train to get to luggage drop-off, then another train to the gate area. This was not intuitive to us. Our confusion was so obvious that it was not uncommon, when we were staring at airport signs, for someone to approach us asking if they could help. Then, of course, there is TSA. It is just not normally a part of our lives. What an enormous source of stress. Martha had gone to the trouble to get pre-check for us. But it was yet another case where we simply didn’t know the rules. We kept having to re-submit our computer bag for further inspection. Plus, I was frequently pulled aside for a “random” inspection. If it is random, how come it happened to me nearly every time? Finally, there are the crowds. When we fly in our own airplane it is just us and our invited passengers. We had forgotten about all the crowds involved in airline flying. Airline flying would be great if it weren’t for all the people. On the other hand there are many things to be said in favor of travel on the airlines. First, it should be no surprise that you can travel around the country much cheaper on the airlines than in a general aviation airplane. That hasn’t always been the case. Back when we were traveling in our single-engine Comanche, if we had two people in the airplane we could fly coast to coast for the same price as on the airlines. But today, if the only consideration were money, going economy class on the airlines would win hands down. Next, when it comes to time, in most cases the airlines win. But not always—it depends on how fast your airplane is and whether the airliner is going where you want to go. But when you figure in the extra time you have to allow to compensate for possible traffic delays and then the extra time for getting in and out of the airline terminal, the calculation changes. Plus, there is the benefit in personal flying of traveling according to your own schedule, not that of the airlines. But what has motivated Martha and me to use general aviation airplanes for our personal transportation is neither money nor time. It has been the experience. Flying once again on the airlines made us see private flying with fresh eyes and reminded us of what we love about it. While we tolerated the hassle of the terminal and the packed seating on the airlines in order to get to our destinations, we actively enjoy every minute of the experience of flying our own airplane. It makes us eager to make business trips when otherwise we’d look for excuses not to go. When we fly our own airplane, it is not unusual for us to get back from an important business trip, and on the drive home the conversation is all about how fun the flight was rather than about the business. Even though flying is challenging, every aspect of it from the pre-flight planning to the management of the airplane in flight is deeply rewarding. This entry was posted in Blog & Stories, Flying Magazine Articles, John King, King News, Media reports and stories on November 9, 2018 by Pilot One. Feel the same way as you. 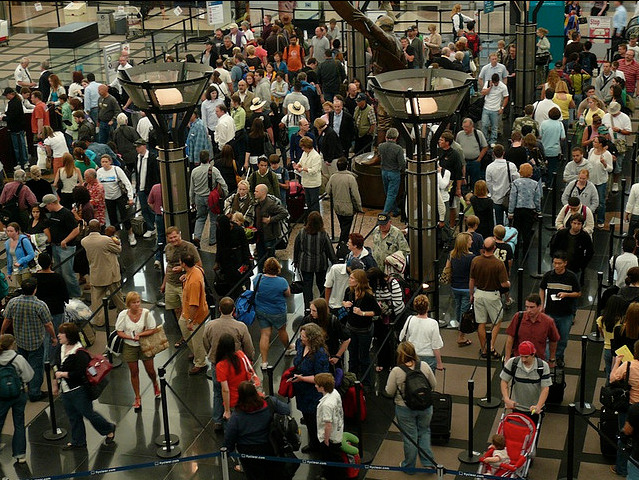 Lost a good bit of freedom with the establishment of TSA. Remember going to the Tulsa International airport as a kid meeting and seeing my grandparents off. Was able to walk right out to the plane. From a combat veteran have great appreciation for those that understand freedom. Thanks for the article!! One of the best benefits of flying, which you touched on, is having the option of smaller, regional airports that are closer (especially in time) to where you are going. In some cases they can be just a couple miles away – and are always much easier getting in and out of. I currently fly a Van’s RV-10 with a Garmin G900X (G-1000), and with it’s short field capability, can fly to just about any airport of any runway length – yet get there reasonably fast! An IFR approach to Portland International one day, and a grass strip the next day! That is freedom! I love it. Great article. It is very real to me that airline travel is no fun. In my capacity as an Eclipse Jet instructor and examiner, I do airline quite a bit. Comparing that to flying your own aircraft can be depressing. When I fly clients on the corporate side, I go out of my way to make th experience smooth and problem free. These people are paying dear for the privilege, as well as contributing to many many support jobs, so they deserve a little love. When THEY airline, the contrast is stark, and that argues for keeping the (expensive) jet. I have met the Kings, and you could not meet two more gracious and humble people. They are always willing to admit some of their dumber moves, like we have all had, when it contributes towards making a learning or safety point. I very much admire that. I would say that John hit this spot on. I own a Cessna T 210 and enjoy flying. I would love to move up to a pressurized twin some day. The main thing for me is the Charity work I am able to do to remote locations with dirt strips , could not be done with commercial flying. Or at least not without allot more stress. 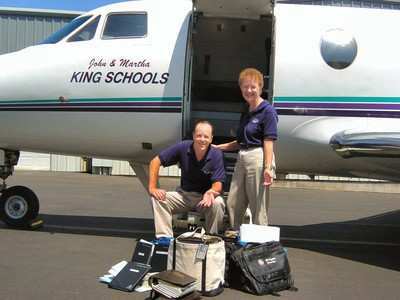 I am a Kings training student since my private pilot lessons and appreciate the style of your material. As always, another great article, John. Thank you. It’s so interesting to read your perspective on commercial flying, and its rather odd to be able to say that it appears that my familiarity with this particular aspect of aviation surpasses yours! Also, I love the picture of you and Martha with the 340!